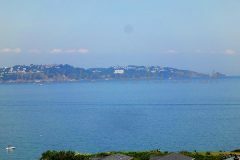 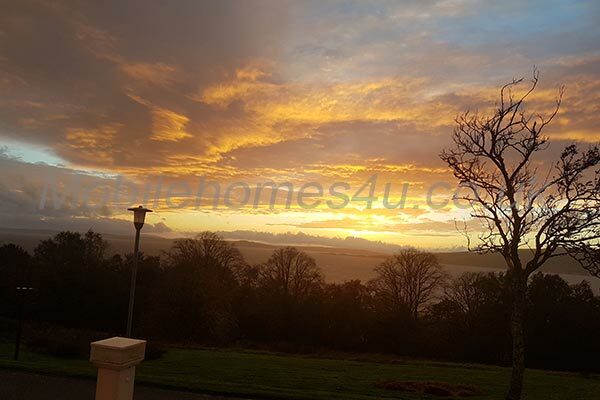 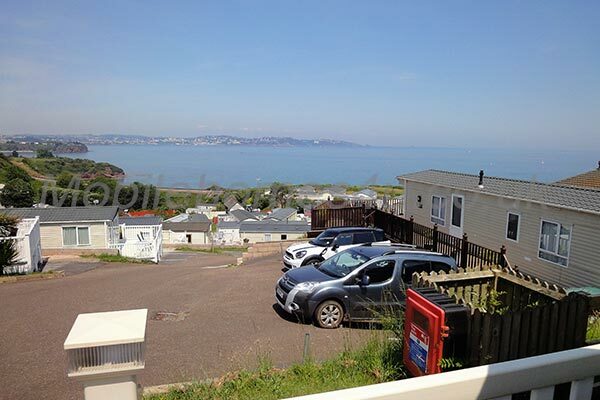 Sea View situated at Waterside-Paignton, which forms part of the English Riviera will, I feel live up to all your expectations for a luxury family holiday in Devon. 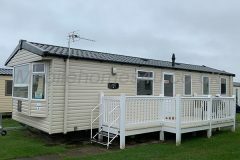 Sea View oozes luxury in every way due to its unique internal layout, design and use of high end fittings and features throughout. 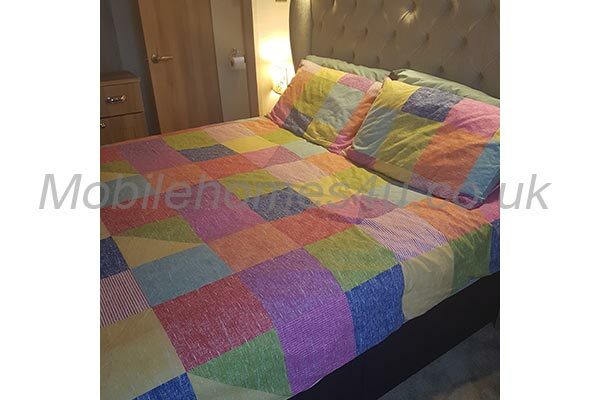 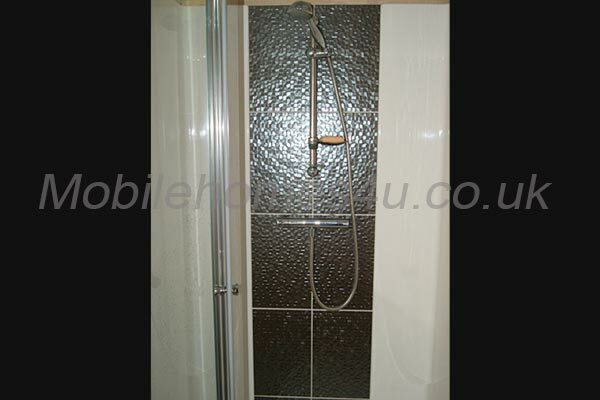 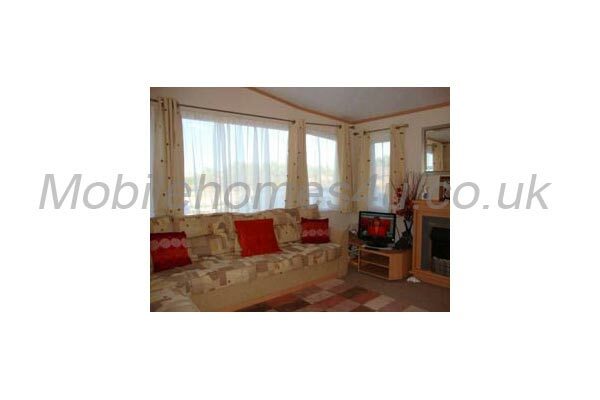 For those chillier nights you have the added benefit of full gas central heating and double glazing. 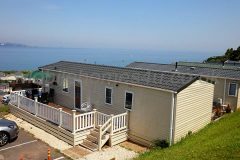 Sea View defiantly ticks all the right boxes. 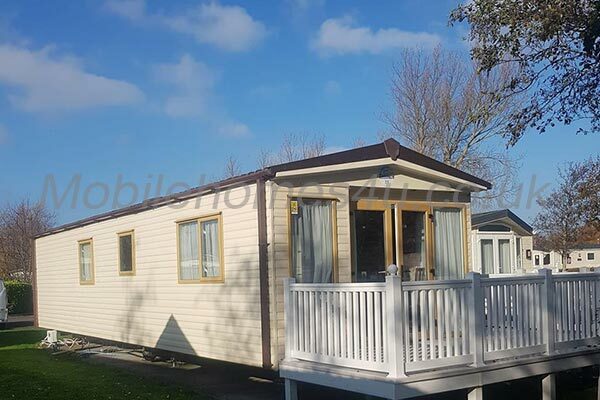 Sea View is a brand new caravan for the 2017 holiday season. 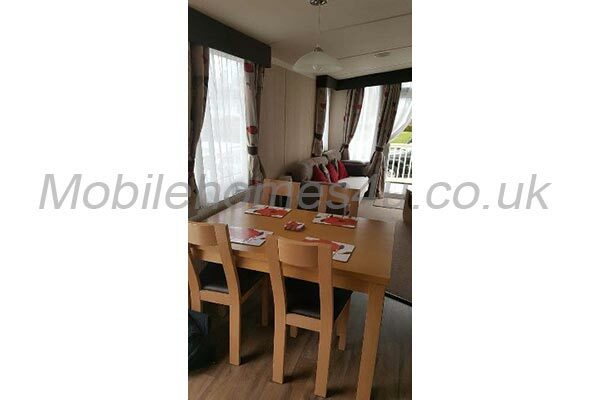 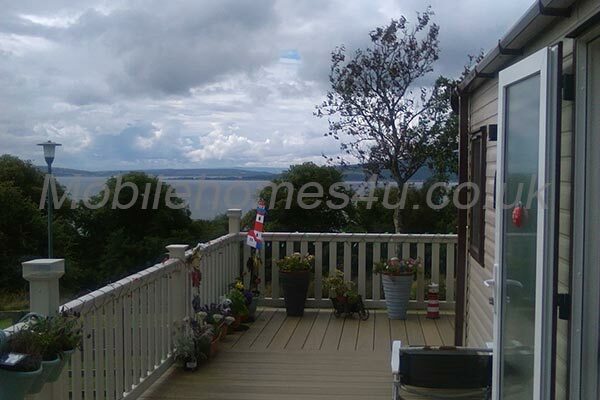 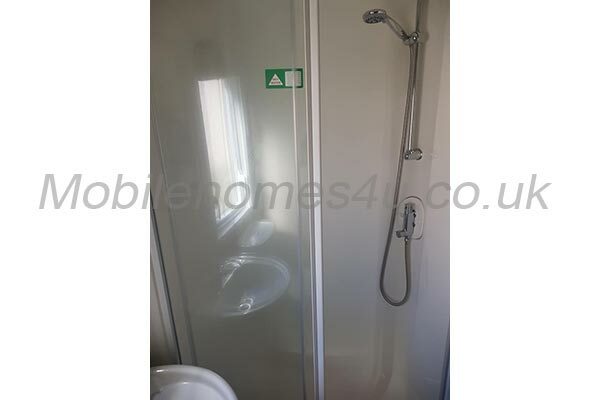 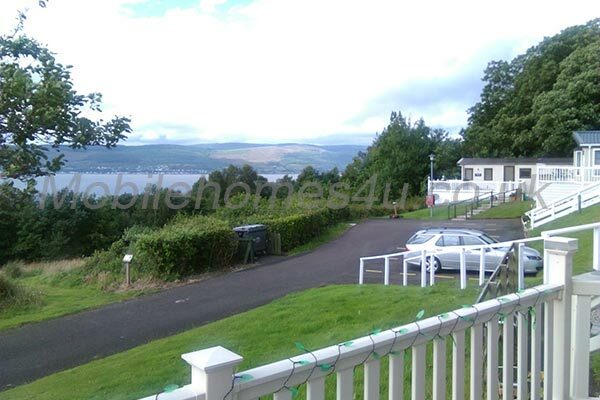 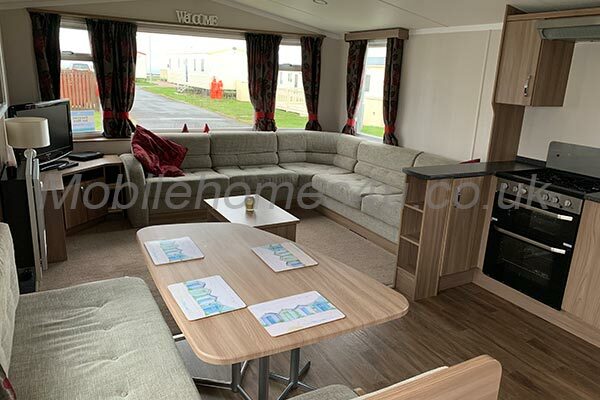 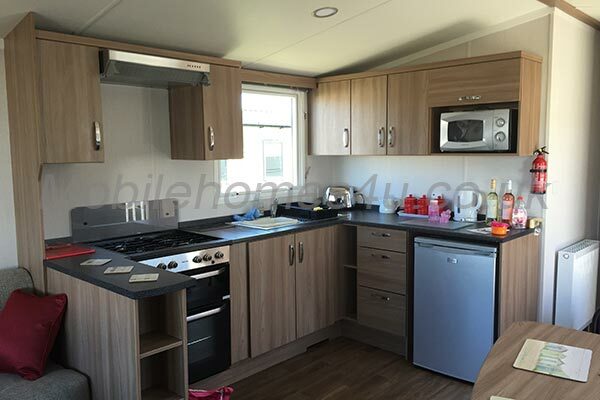 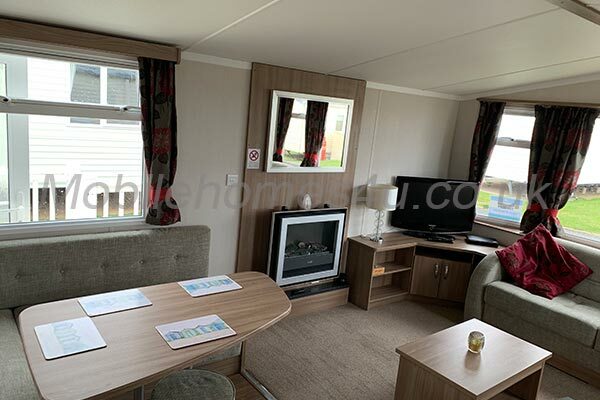 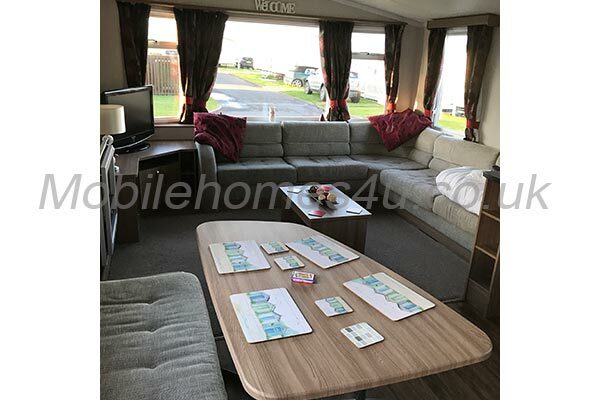 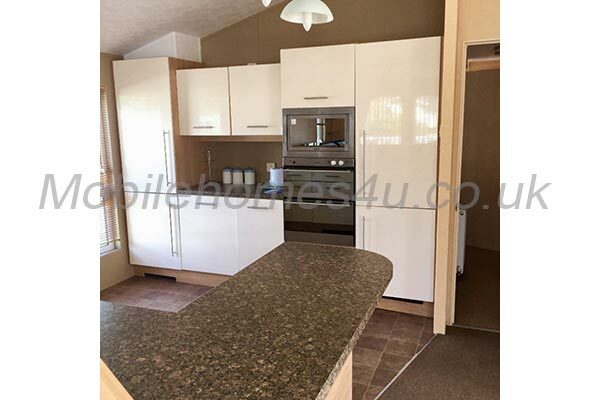 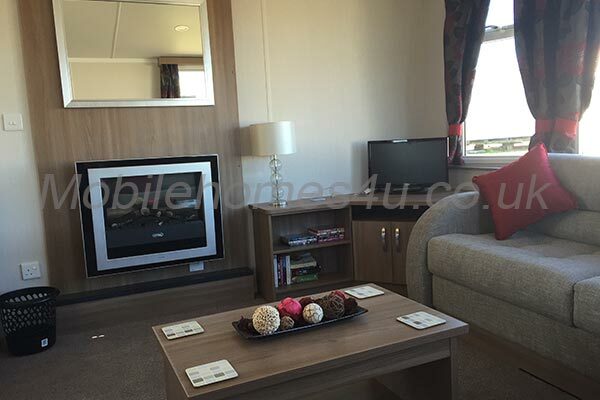 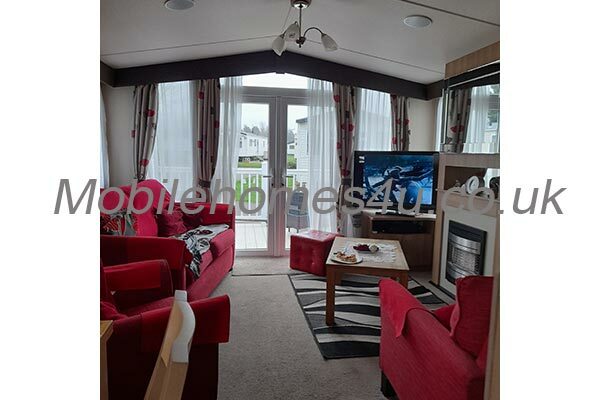 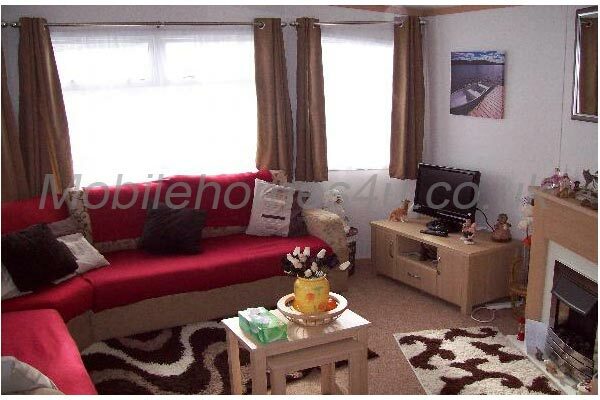 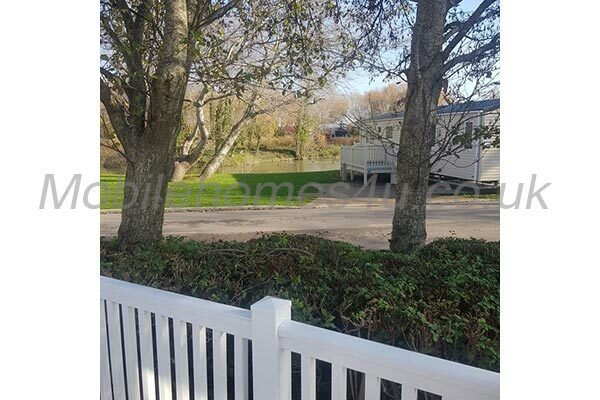 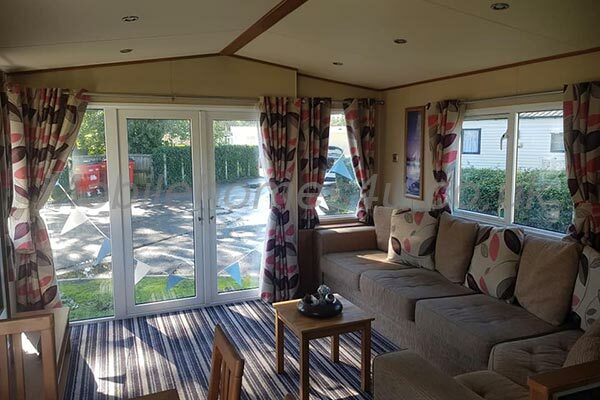 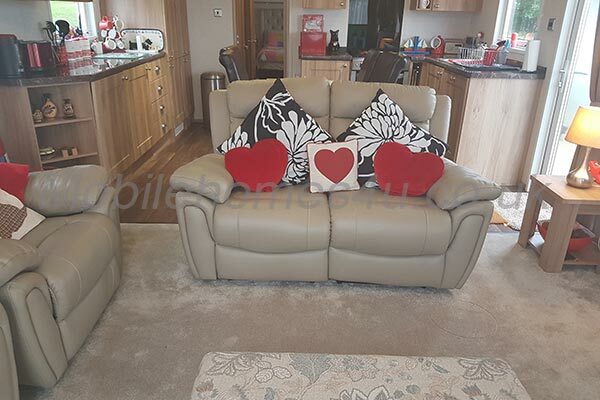 It is a large, luxury, modern contemporary light and airy ABI Oakley 36ft x 13ft holiday home, which enjoys stunning views and is located on one of the best plot on Waterside Holiday Park! 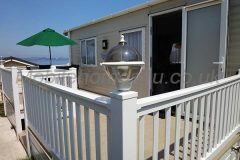 What makes this platinum holiday home so special is the fantastic location, views and the 5 Star luxuries on offer. 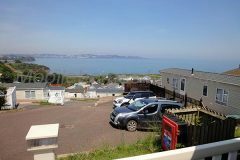 Our generous 36ft x 13ft, open plan living/dining/kitchen area is the perfect setting to enjoy the incredible views of Lyme bay and beyond. 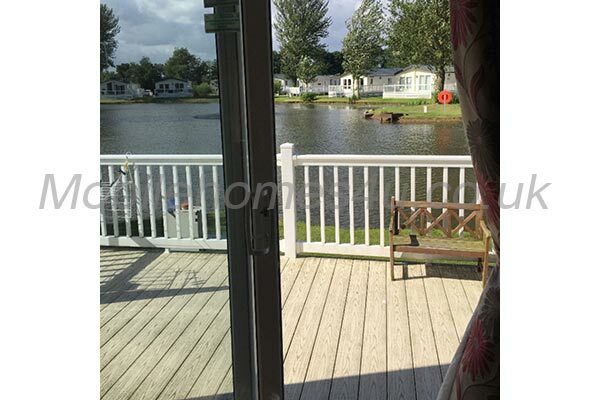 Location, luxury living and personal attention to detail is what we offer all our guests. 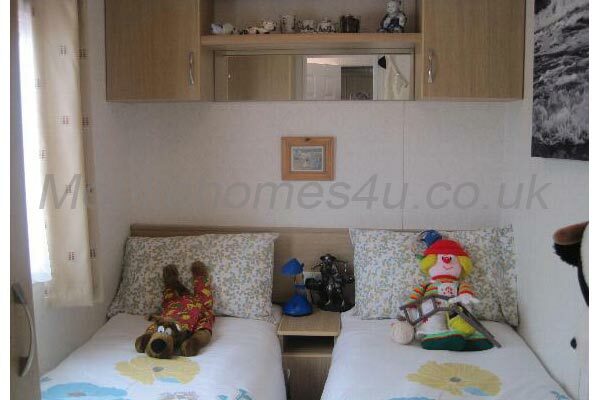 Staying at Sea View is a chance for the whole family to spend quality time together having fun. 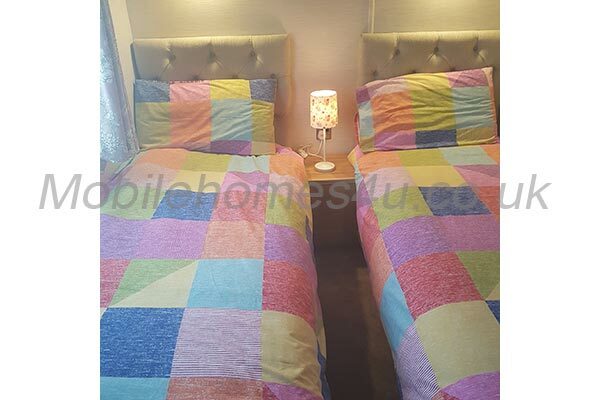 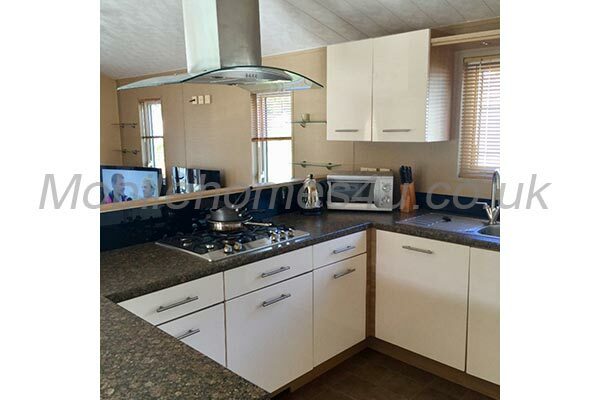 You can expect great value and clean and comfortable accommodation in this Platinum grade luxury holiday home. 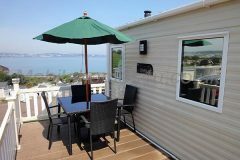 We can accommodate your holiday needs for most of the year. 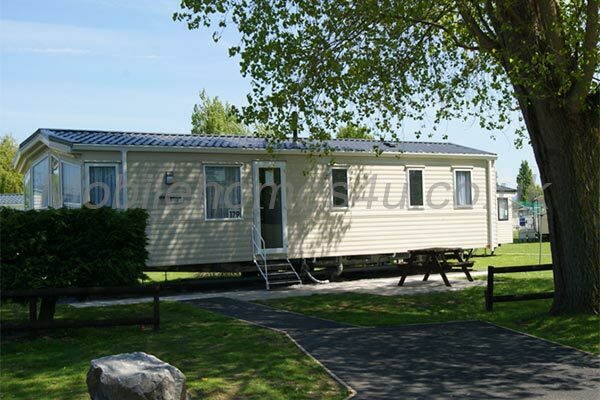 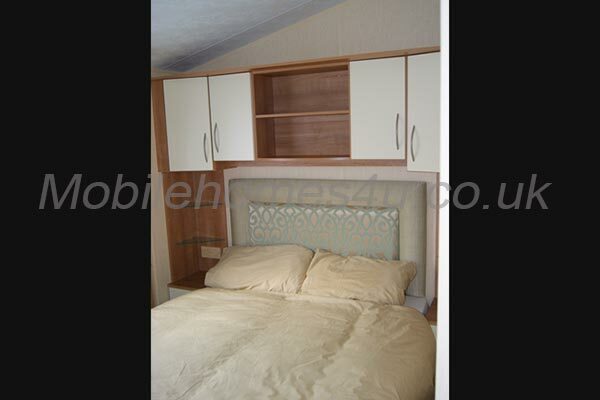 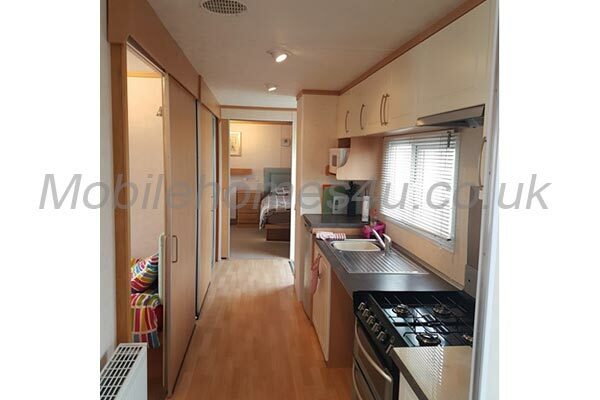 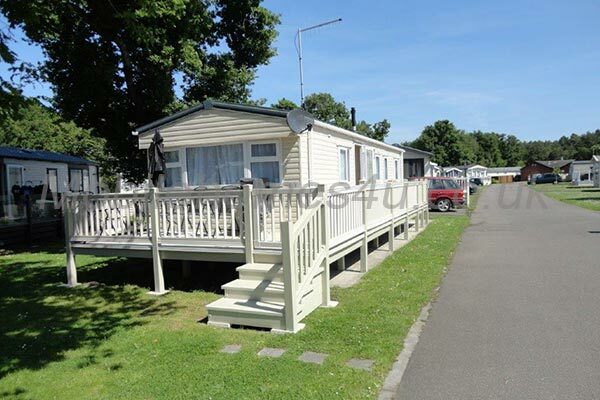 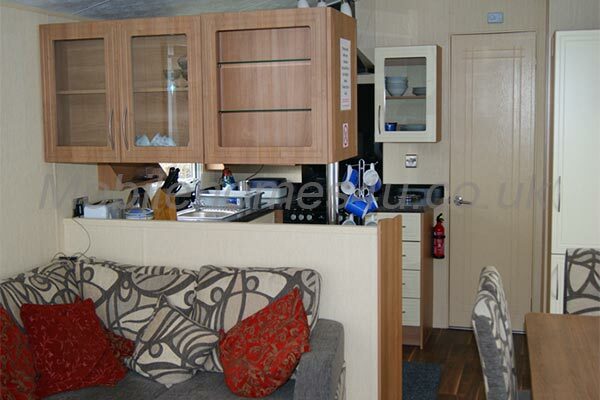 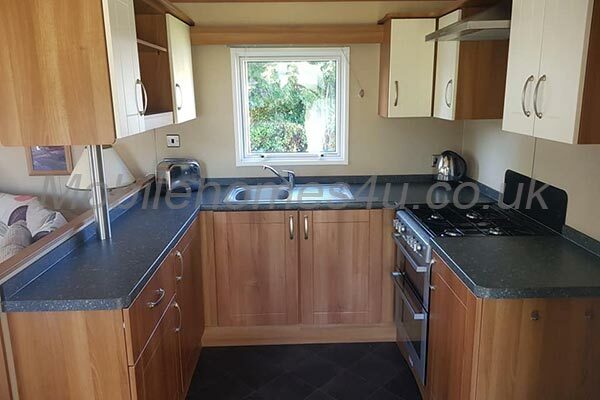 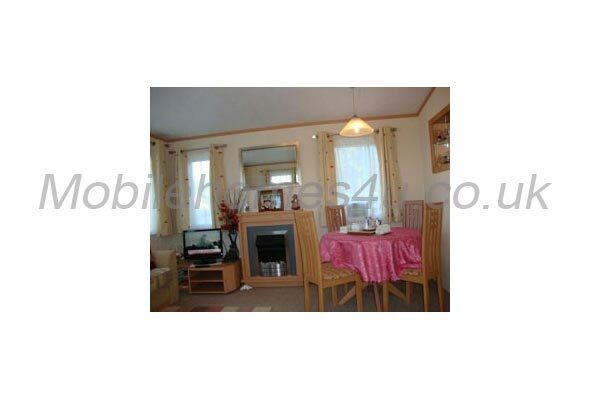 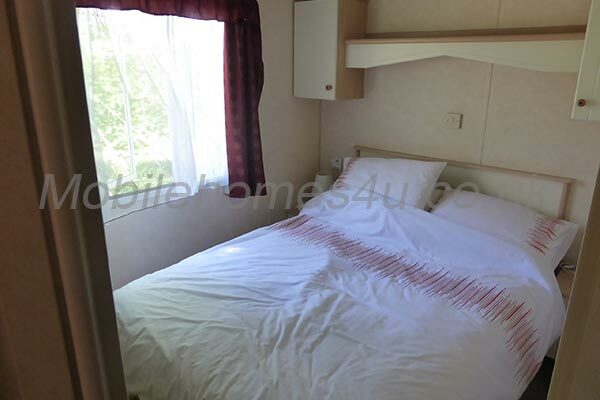 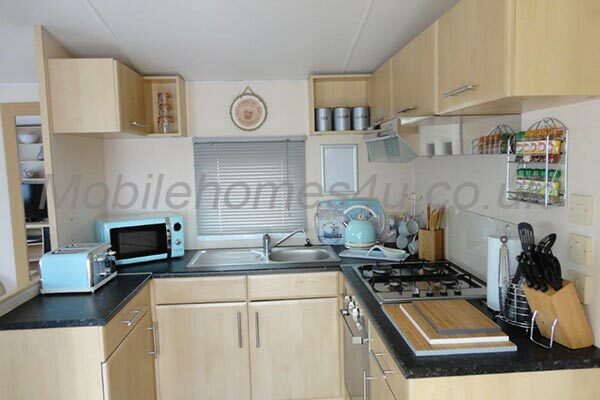 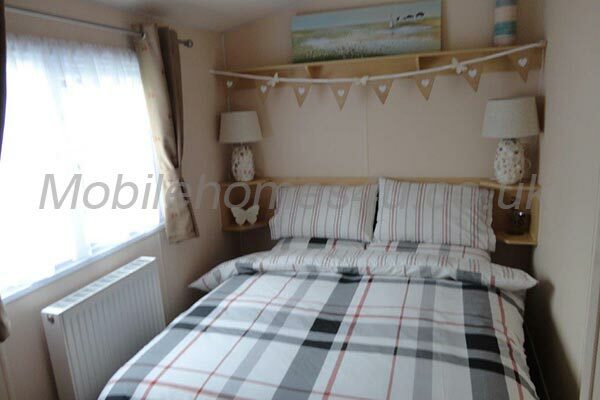 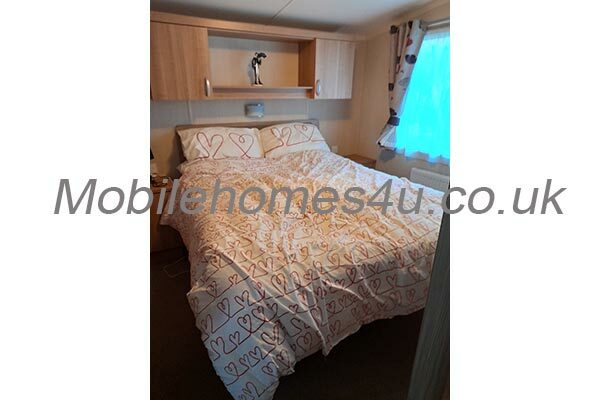 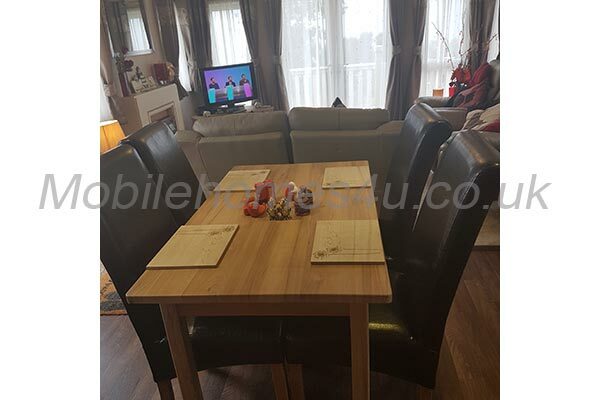 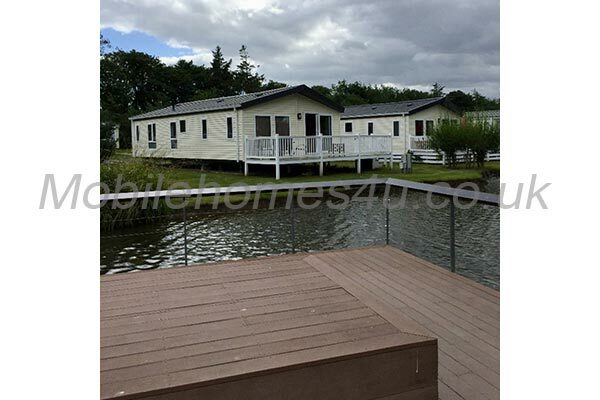 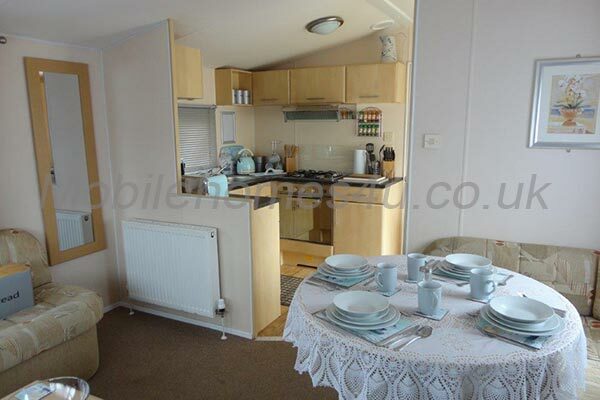 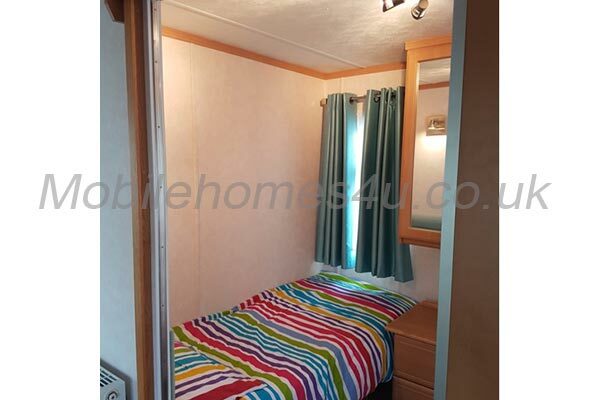 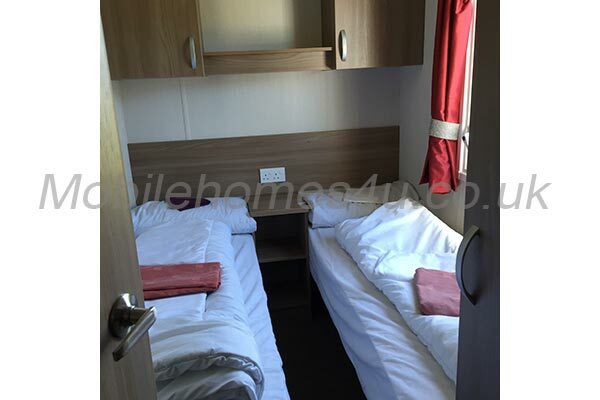 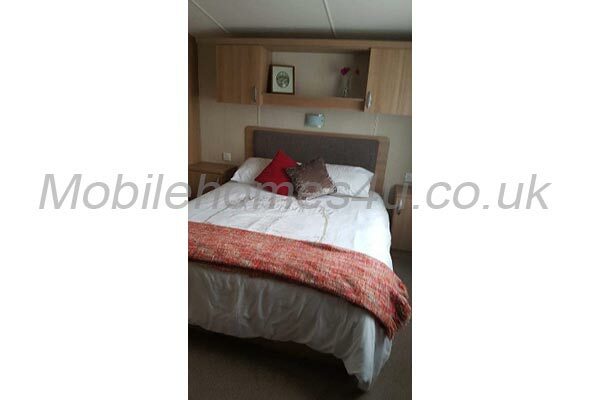 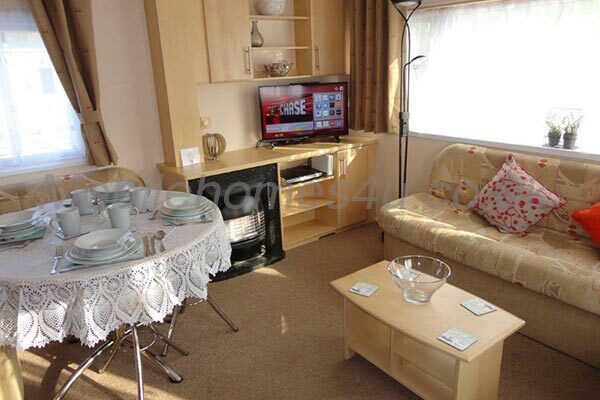 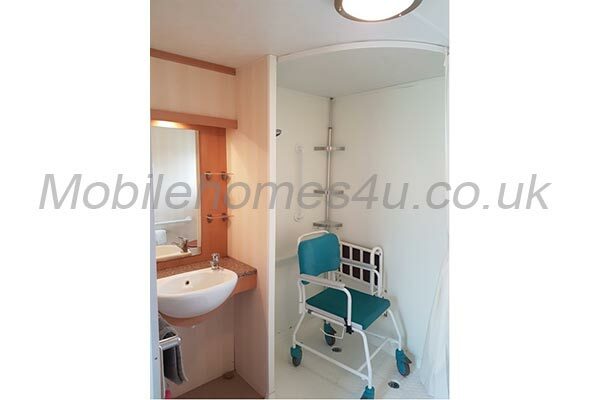 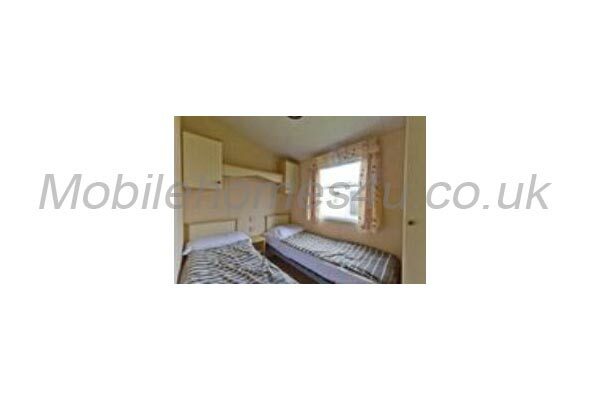 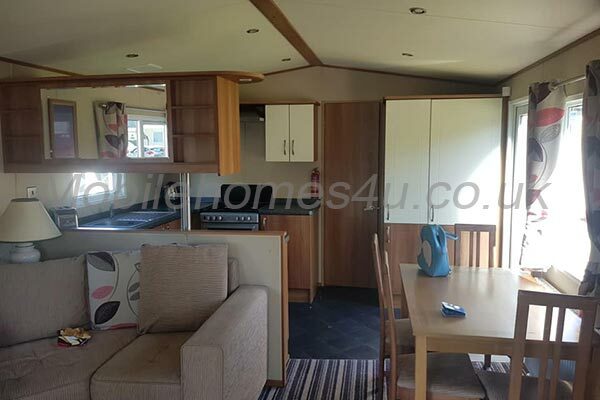 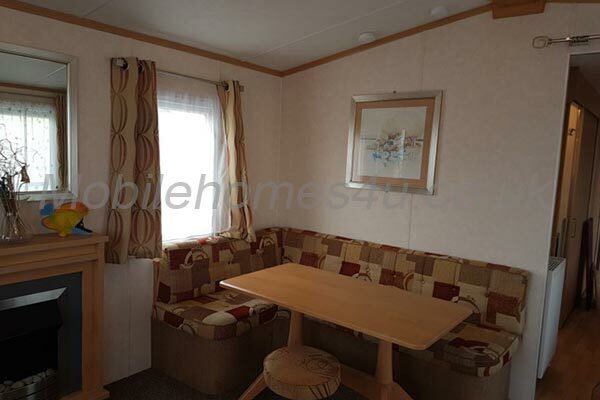 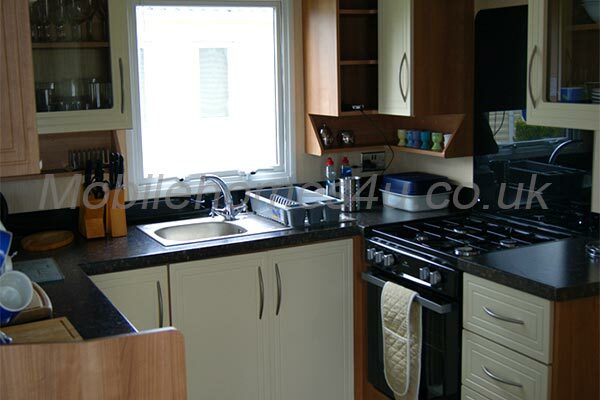 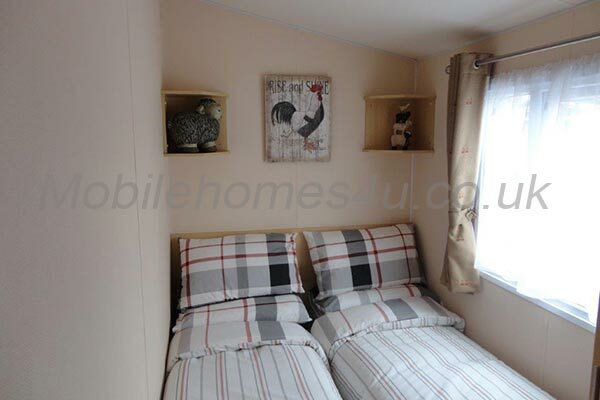 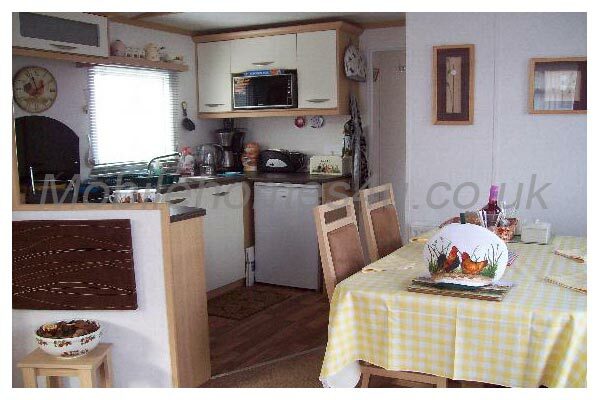 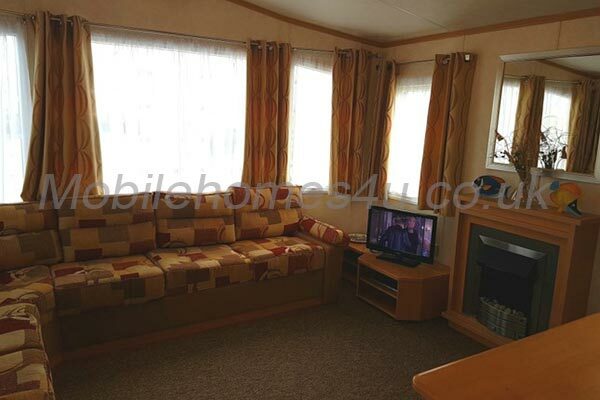 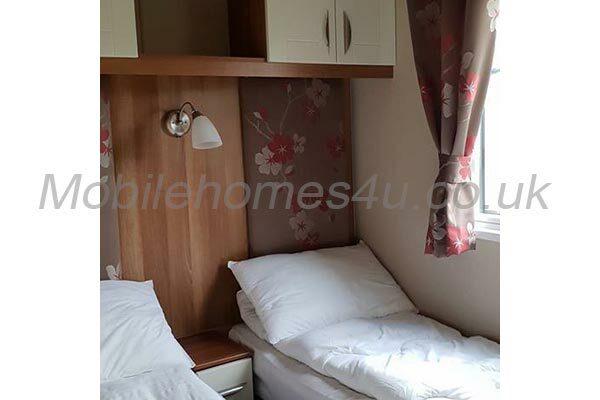 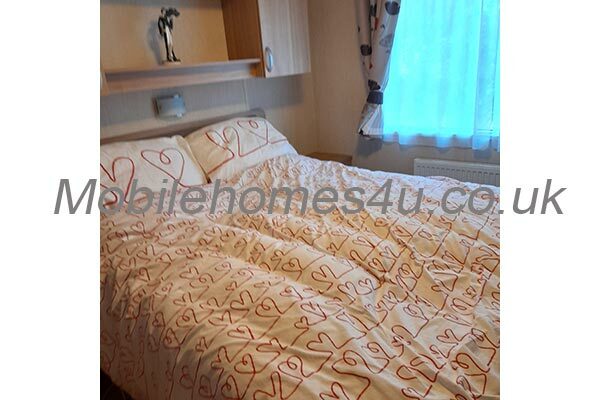 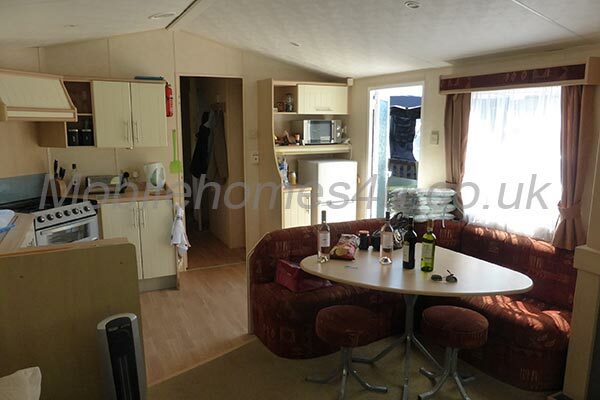 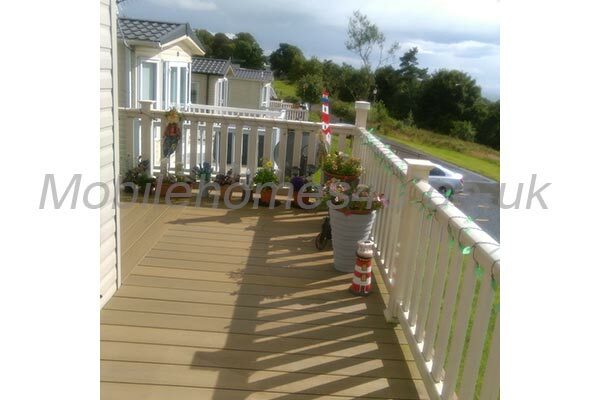 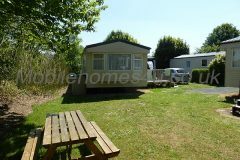 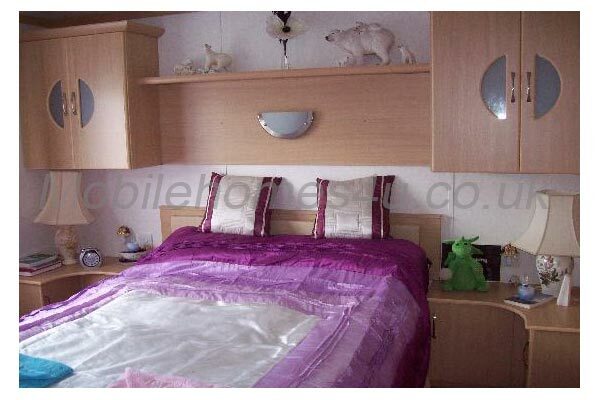 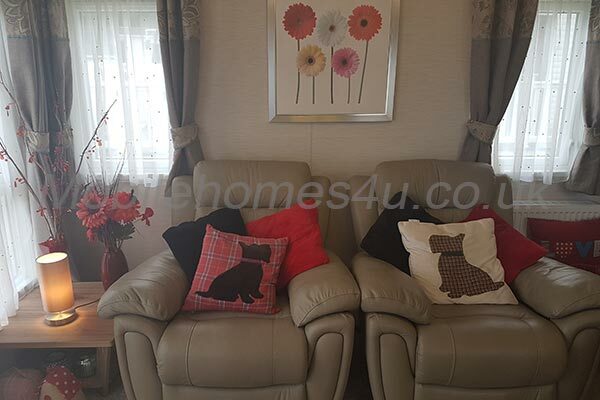 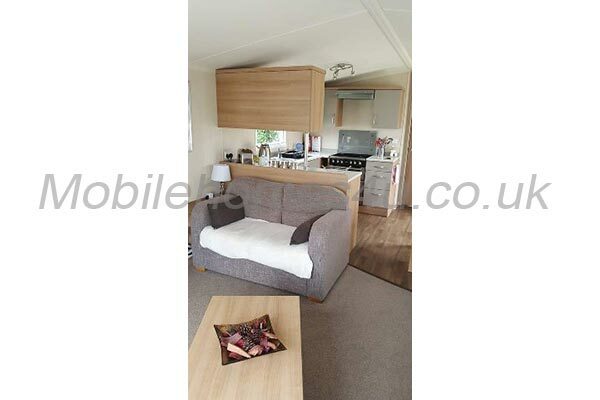 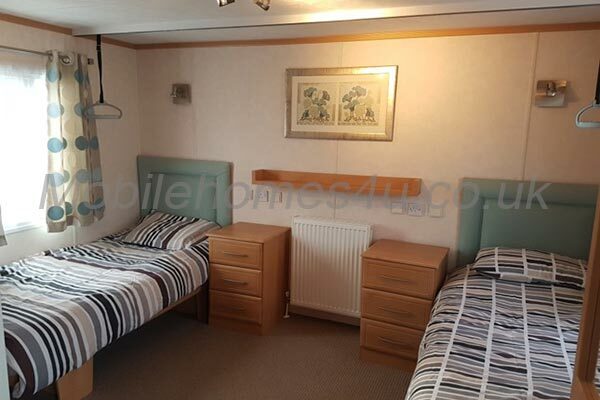 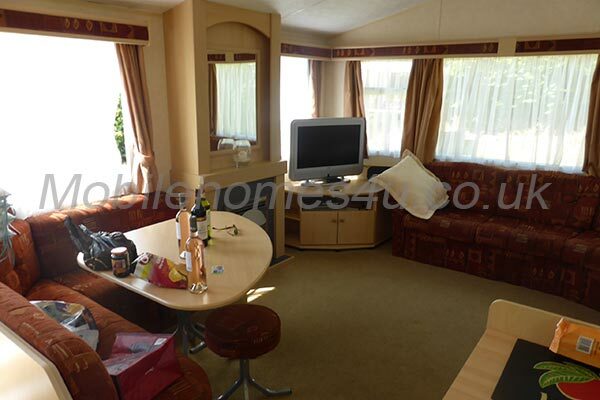 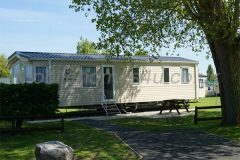 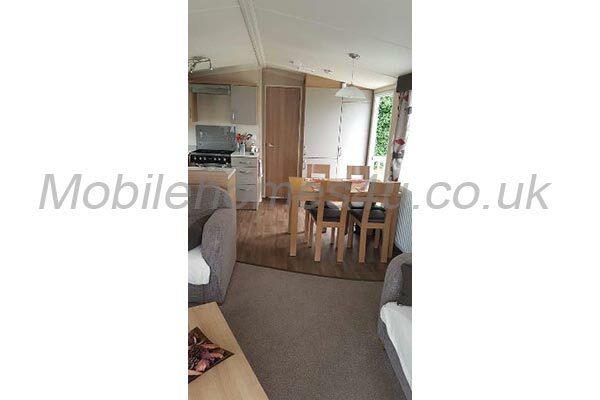 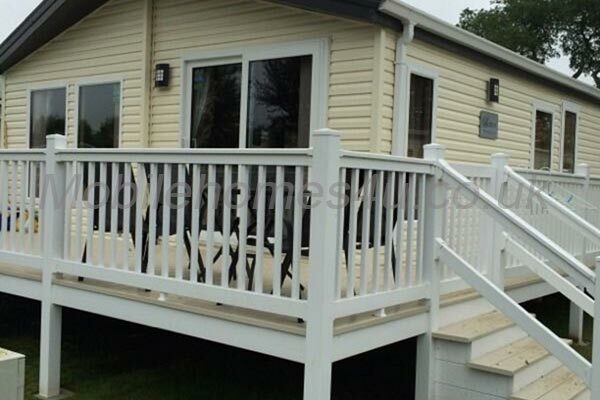 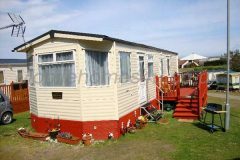 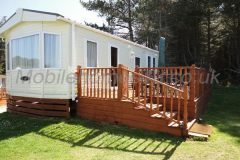 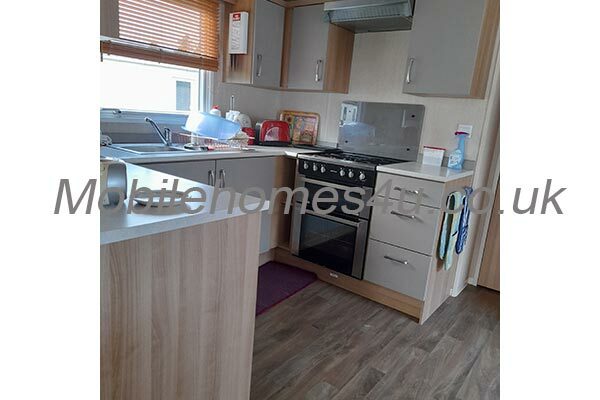 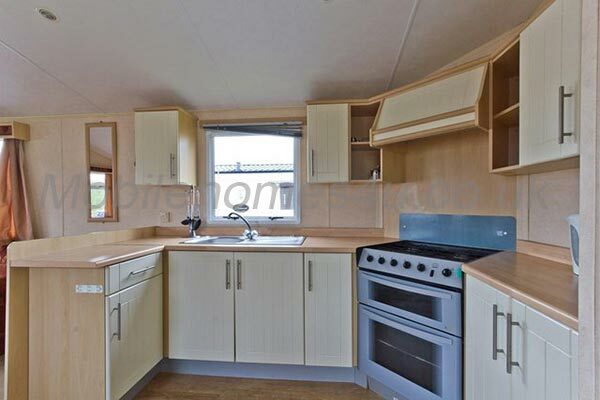 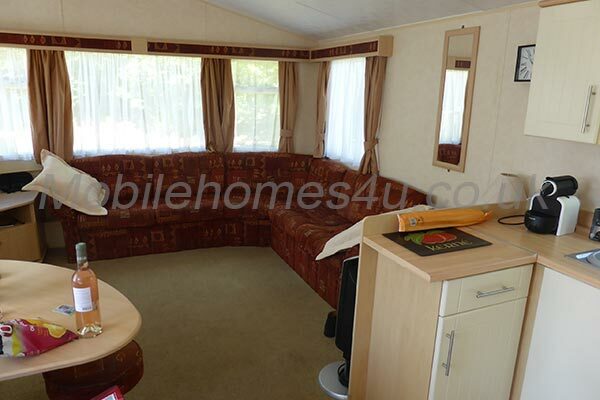 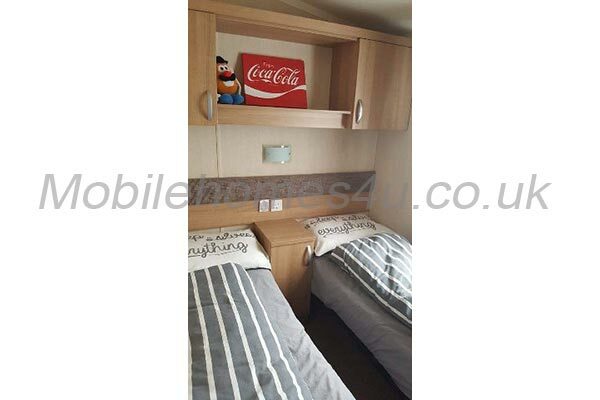 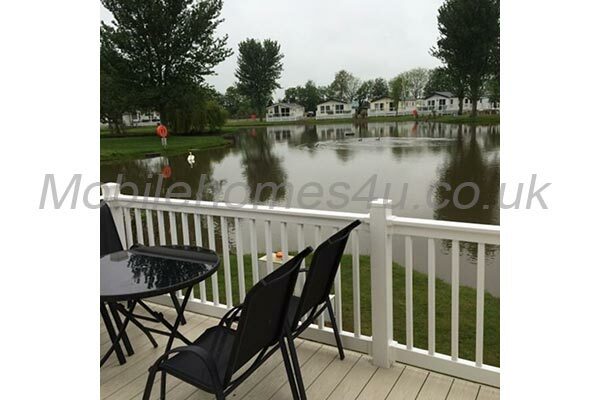 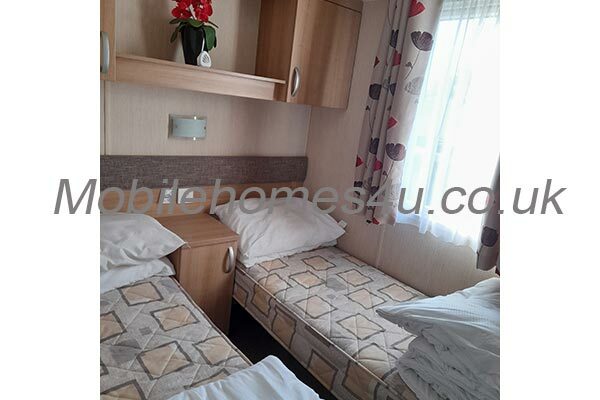 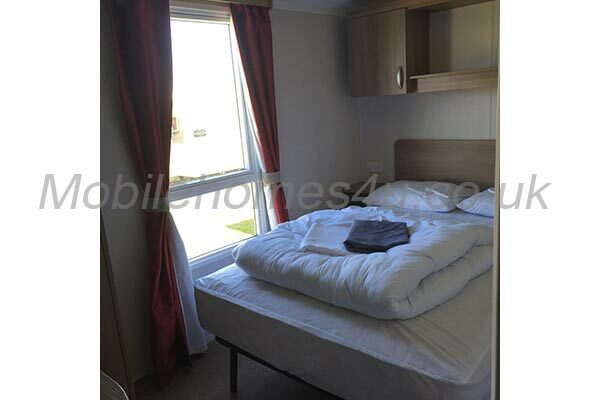 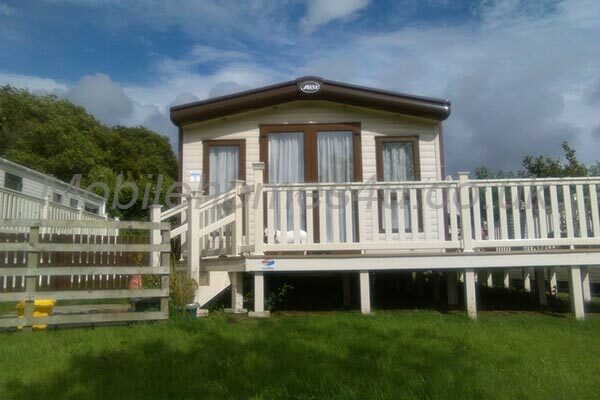 You can guarantee a relaxed and enjoyable holiday experience like no other staying at this fully equipped caravan. 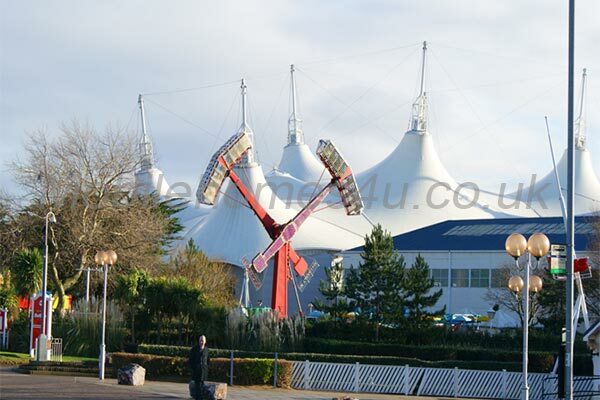 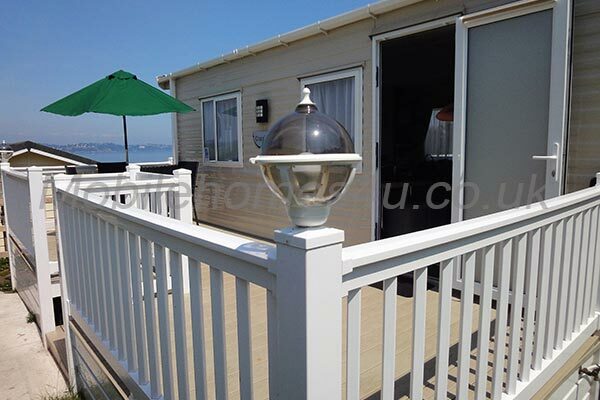 Sea View is privately owned and professionally cleaned and managed to the highest standards possible. 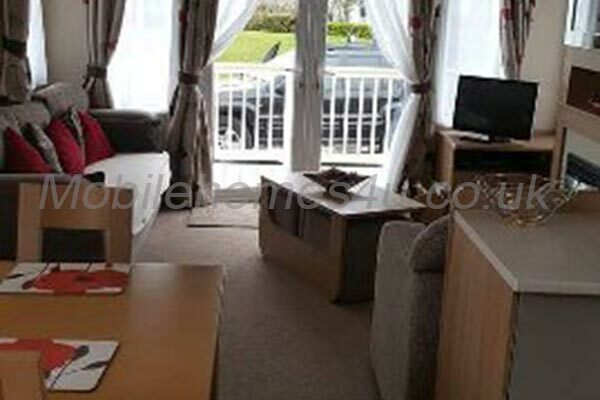 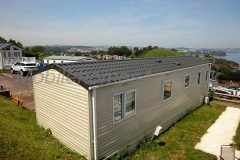 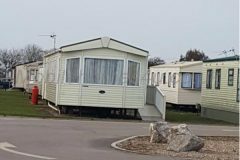 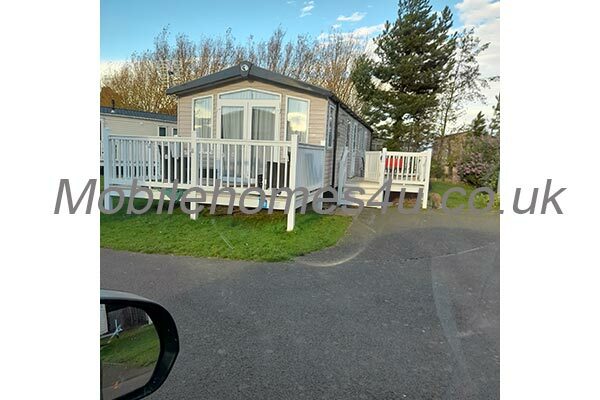 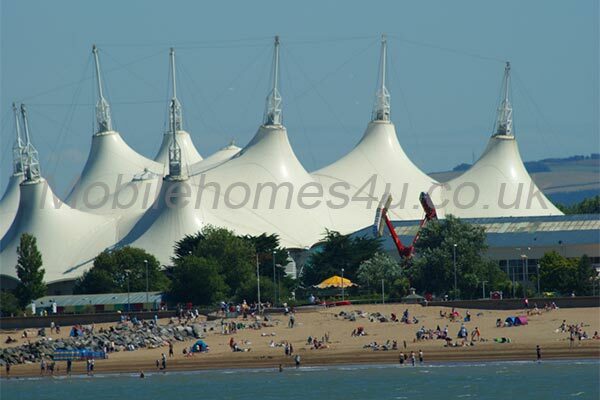 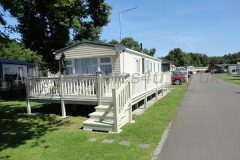 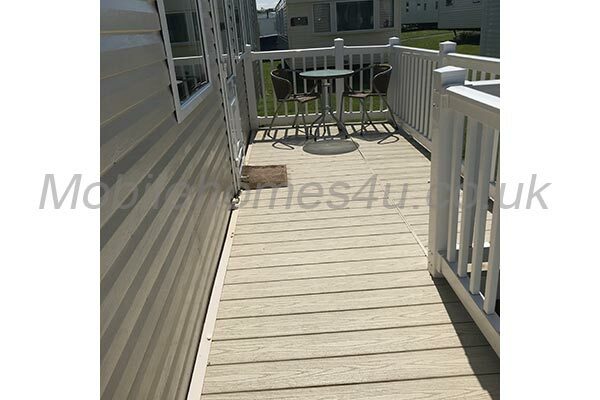 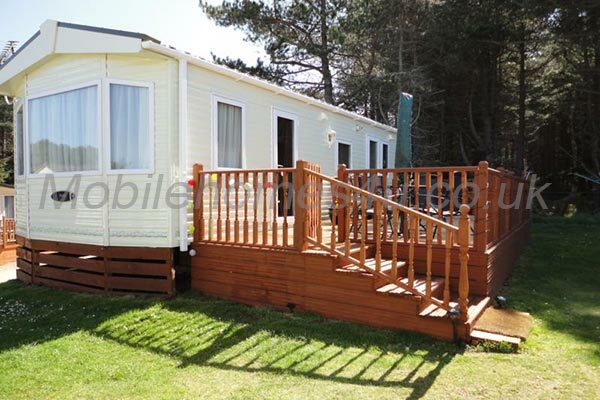 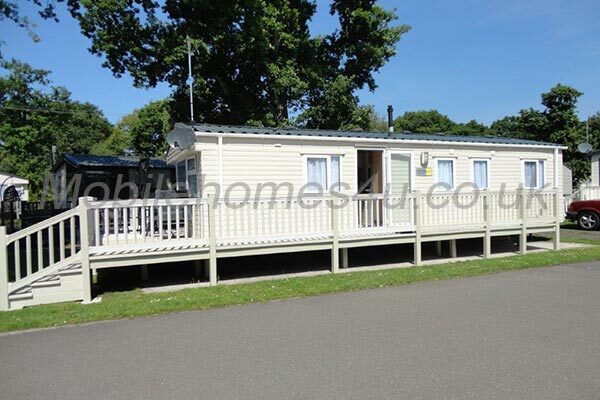 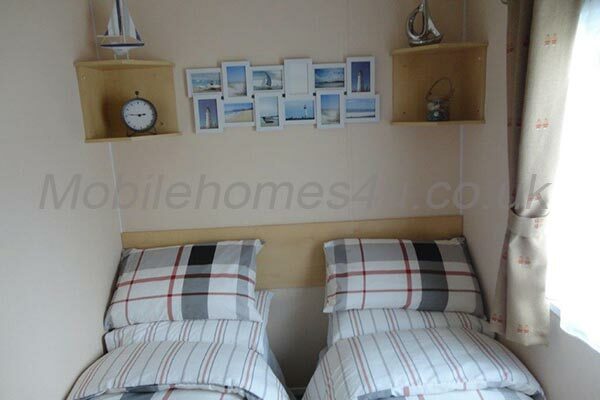 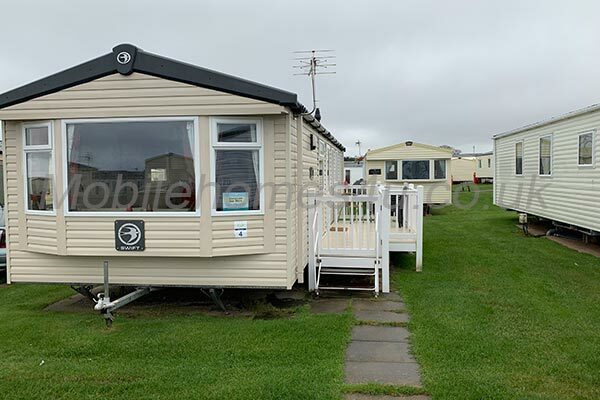 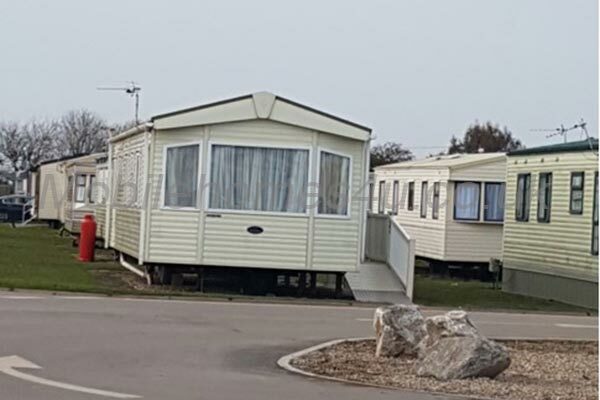 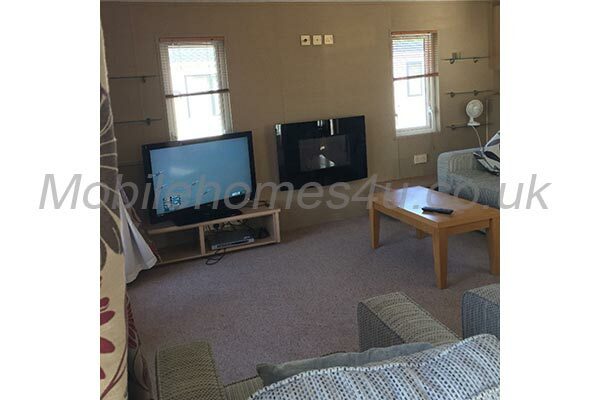 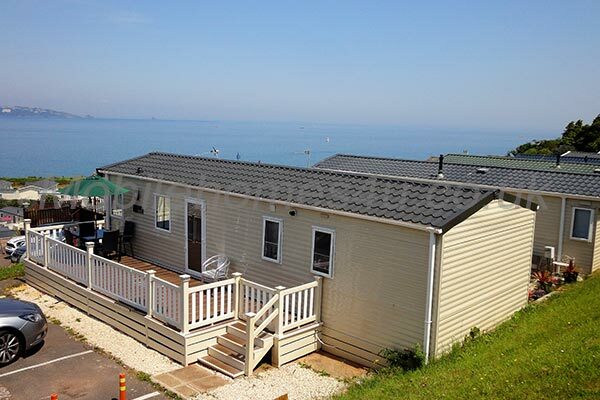 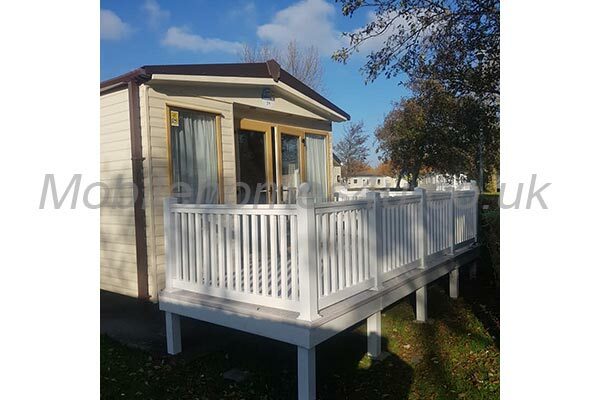 Sea View is a high specification platinum grade holiday home located on a well laid out Holiday Park but within a few minutes from the fantastic holiday seaside resorts of Paignton and Goodrington. 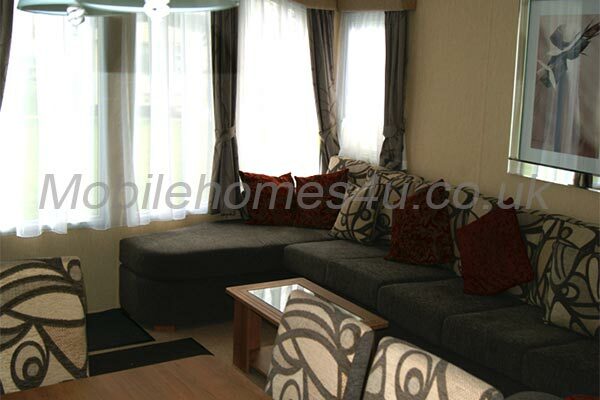 Sea View has style and sophistication for those people who enjoy the finer things in life. 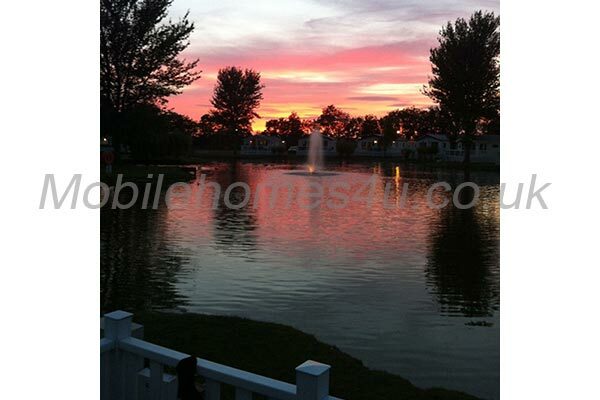 If you are looking for a memorable holiday then you are looking in the right place! 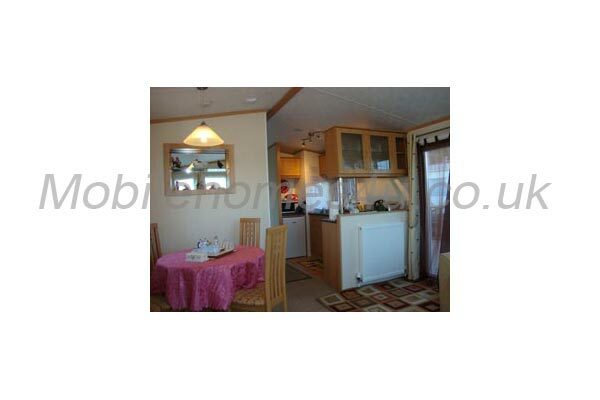 Sea View has a large open plan lounge-dining-kitchen area with seating for six persons. 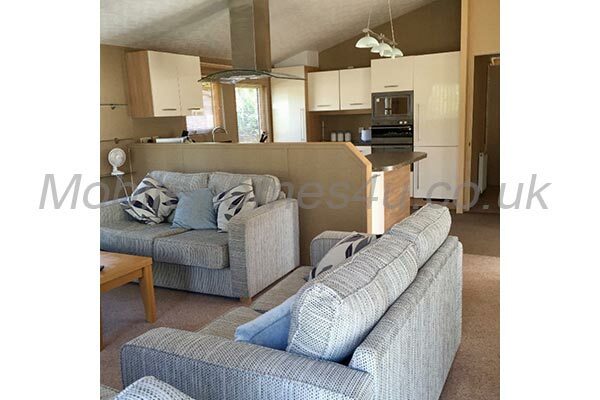 Our lounge enjoys sophisticated colour combinations which enhance the stylish décor and beech effect furniture fully complimented by a stylish lounge suite with matching drapes. 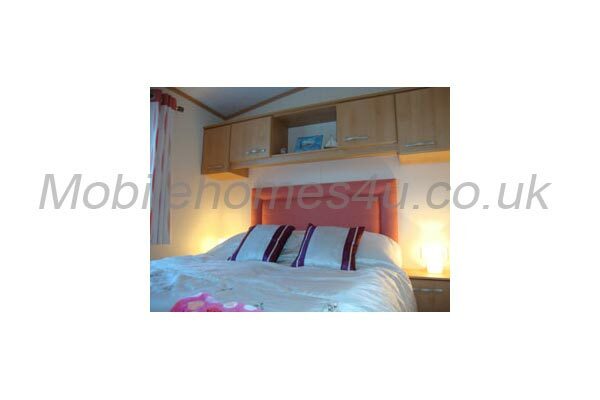 You will also enjoy the benefit of full gas central heating for those chillier nights. 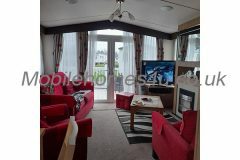 Our lounge area also has a feature fire surround and large TV. 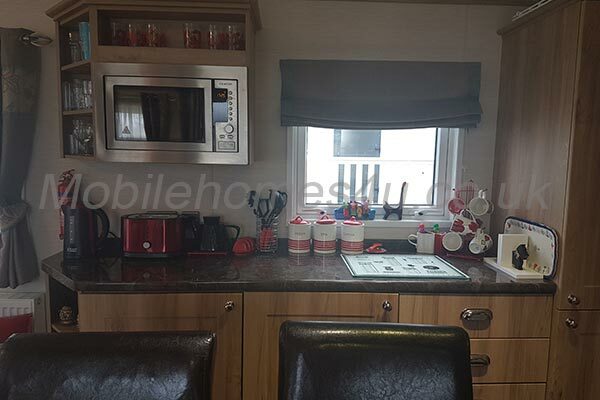 In the kitchen area the colour and style of our lounge is followed through to the 5* kitchen which is fully equipped with a 4 burner gas hob - gas oven, extractor canopy, an integrated fridge freezer, microwave, toaster, kettle, etc. 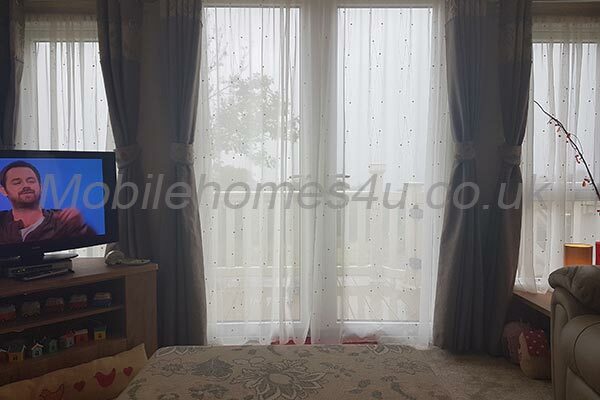 Our Bedrooms maintain the rich contemporary feel of the living area with smart accessories such as cushions and matching drapes. 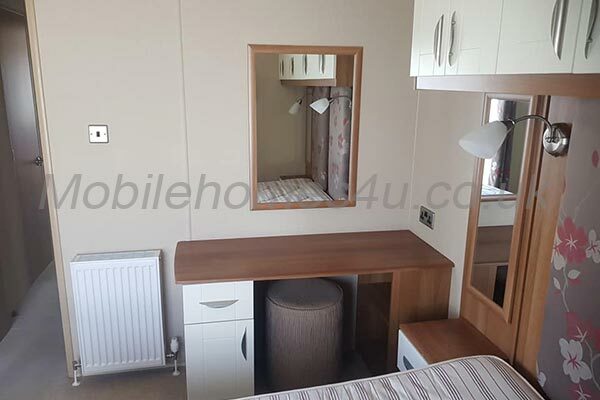 The master bedroom has a double size bed topped with memory foam mattress, dressing table, TV with Free view and a DVD player. 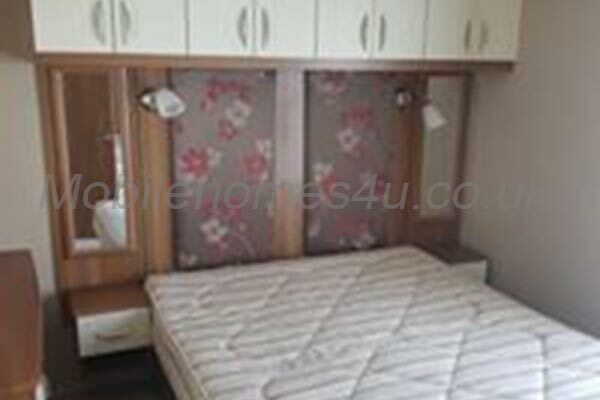 For storage there are spacious wardrobes. 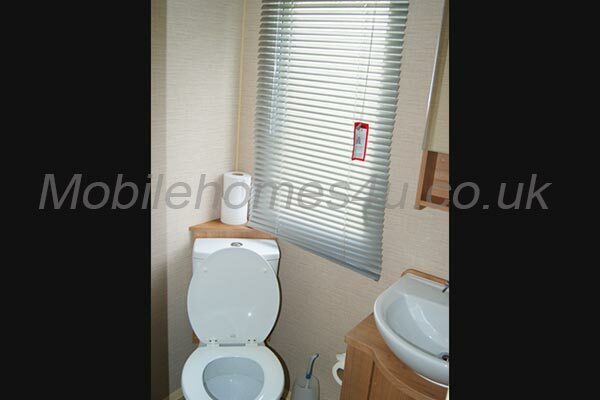 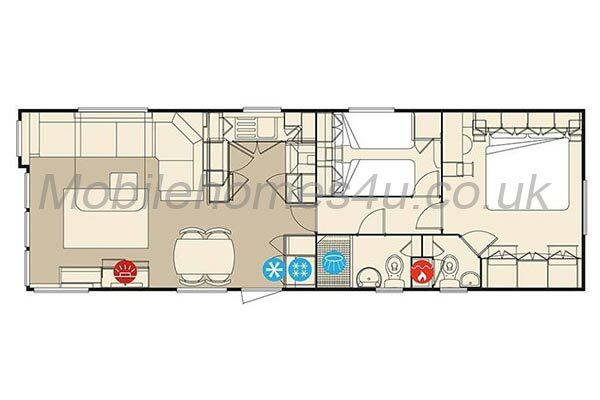 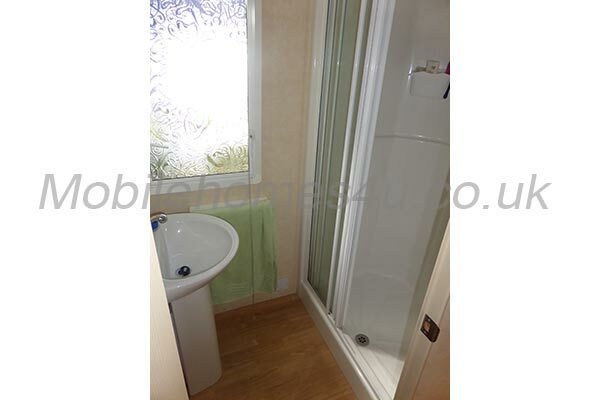 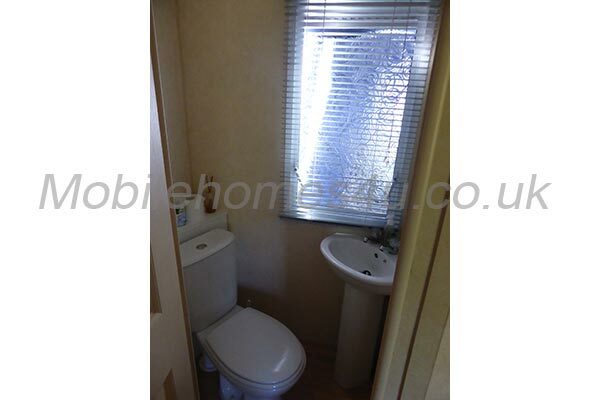 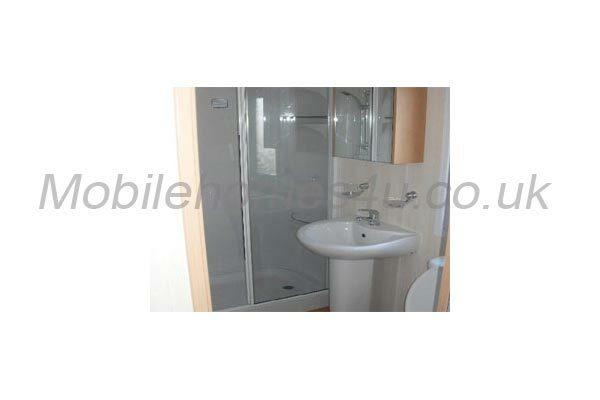 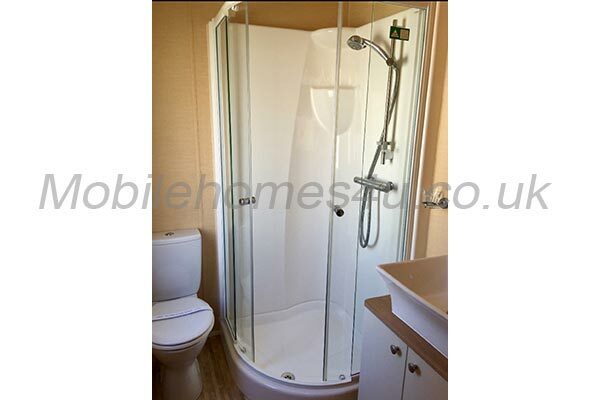 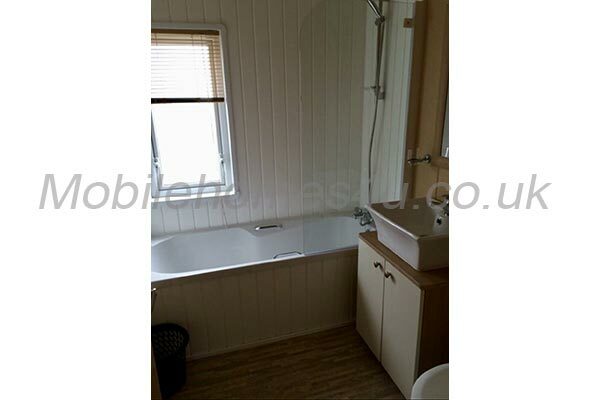 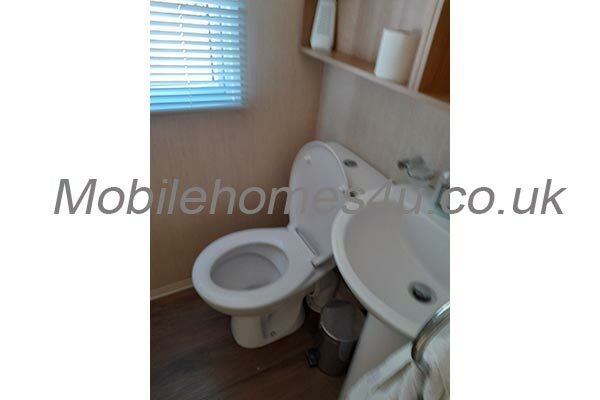 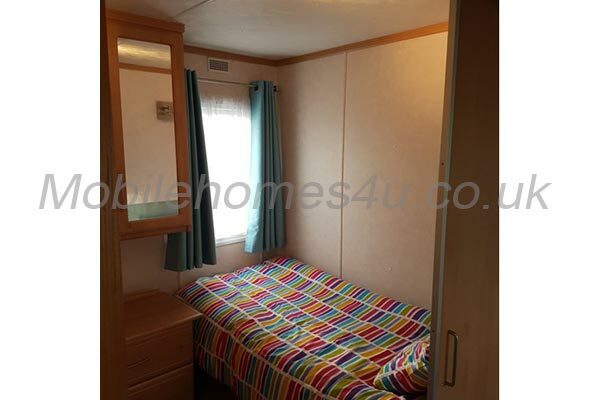 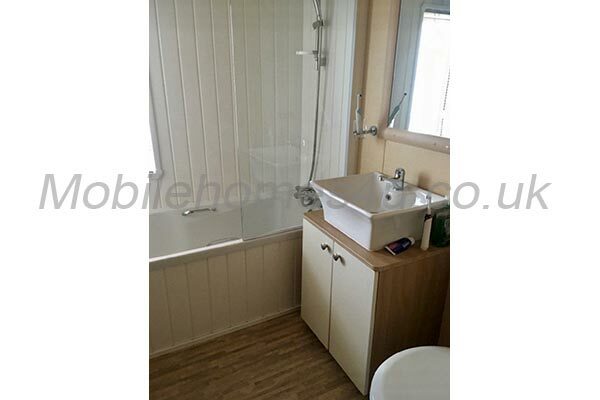 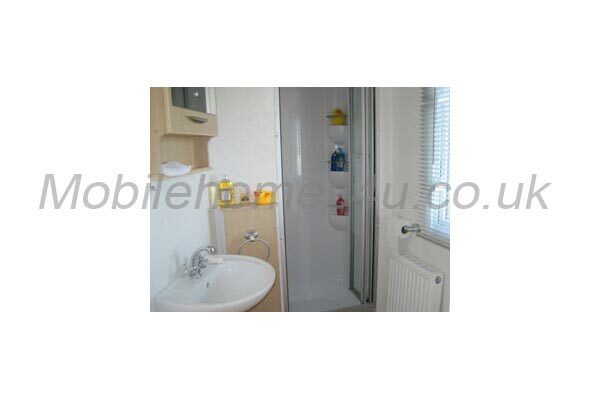 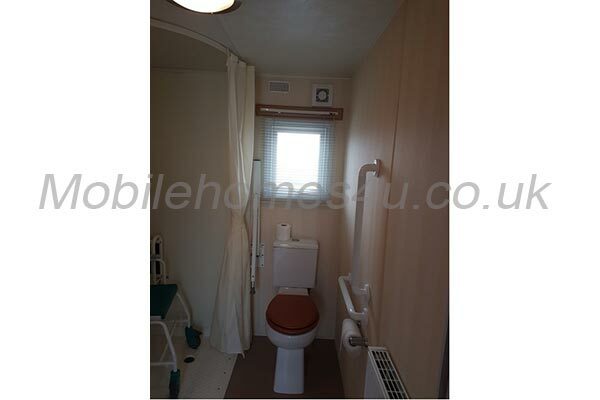 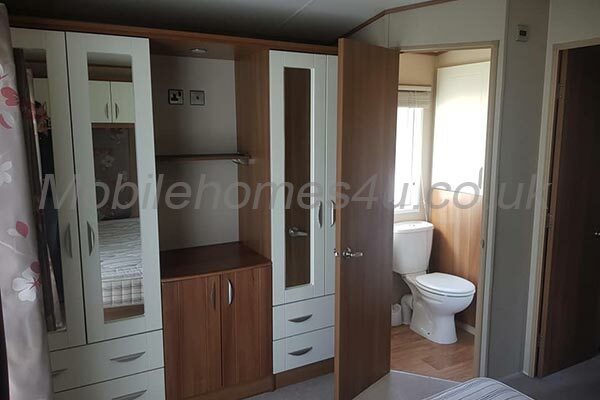 Leading off the master is an En-suite with toilet and wash basin. 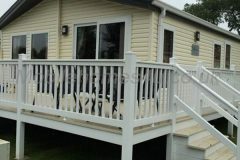 Outside Sea View has a custom-built raised decking area to take full advantage of the stunning panoramic coastal views. 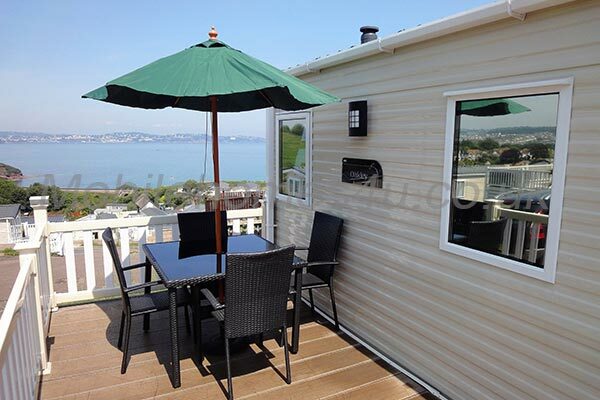 The deck is fully equipped with a patio table and chairs for al-fresco dining, weather permitting. 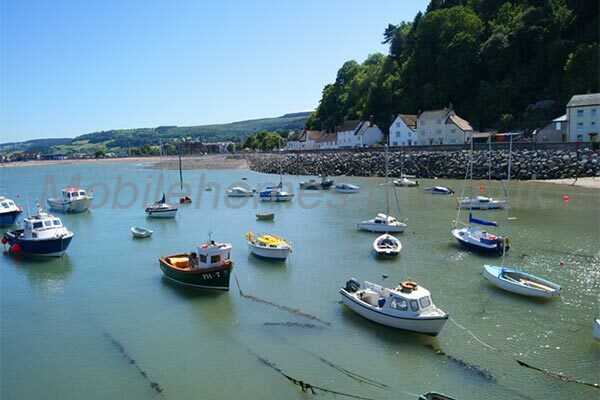 There are stunning views of the bay and steam train. 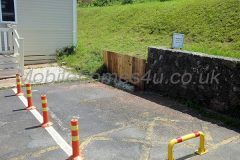 Sea View has its own allocated parking space.